Waterfront Upscale Penthouse with King Bed -Simply the Best! Imagine relaxing and soaking in this 180 degree view from this extraordinary top floor end unit condo! A place where time stands still. Unwind in paradise where the soothing sounds will lull you to sleep in this luxurious king sized bed. Wake to a brilliant vista of the sparkling turquoise waters. Imagine enjoying coffee on the Balcony and getting lost daydreaming into the views. Enjoy your sun drenched days at the beach then return to your spa like walk in tiled shower with pebble stone floor for a soothing shower. You will enjoy the convenience of the large granite top dressing vanity as your get ready for a night out on the town for a scrumptious dinner. Good cuisine is nearby in Red Hook were you will find an array of wonderful restaurants to choose. If your tired and don't feel like dinner out, no worries the Sapphire Grill is across from the condo at the main complex pool. Your condo accommodations also offers a new kitchenette should you desire to fix your own meals. If you are fitness enthusiast as I am, you will enjoy the diversity of options to keep fit while on holiday. There is a wonderful 1/4 mile cardio loop within the Sapphire Village Resort community. Enjoy swimming laps in one of the two community fresh water pools, or travel the short distance down the road to Sugar Bay Journey Day Spa and Fitness Center ( modest fee required ) for a more extensive workout or massage. You can easily get around by renting a Jeep or car for your stay week at the airport or take the public 'dollar ride' known by locals as the 'Safari'. If you enjoy snorkeling or open water diving St Thomas offers a unique diversity of reef and wreck dives in addition to a wide spectrum of colorful marine life to keep you enthused. There are many beaches that offer World class beach dives, and snorkeling without going on a boat! 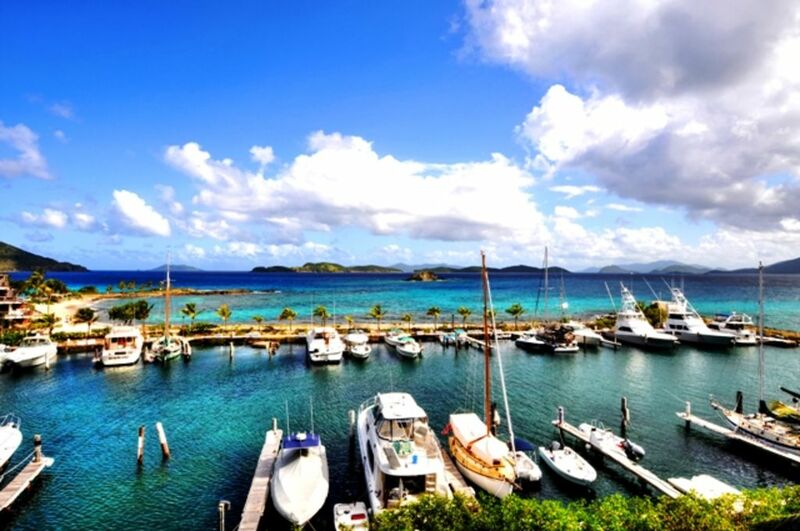 I suggest a sunset sailboat cruise or a day trip to St John or the British Virgin Island. Charter boats, and Jet skis rentals are available from the Sapphire Marina. Enjoy the US National Park and beaches of St John. You are just a 1/2 mile from the ferry terminal located in Red Hook. Everything is literally at your fingertips! Experience the Caribbean in style.... Book your vacation today! 3 night minimum, 21 night maximum rental. WiFi specific for the unit. Condominium Complex WiFi previously used, is no longer available at any unit at Sapphire Village Condominiums. 2 beach chairs and small hardside cooler provided for guest use. Linens including beach towels provided. Lounging chairs with table provided on balcony as well as separate eating table/ stool set. ADM Wi-Fi specific for the unit only. ADM service inside the unit. Condo association WIFI available but reception and connection is best at the office entrance or inside the office during regular m-f office hours. Modern efficient kitchen with two burner stove and microwave /convection oven and stunning granite work surfaces! Library available at community center/complex office during business hours M-F only. Yes at community center/complex office during business hours M-F only. Balcony with panoramic/unobstructed view of Plymouth Sound, the islands and Sapphire Beach - The best views in the complex. Balcony height dining table/stools. Bring your own or can rent from dive shop at beach Health sanitary issue with leaving snorkel gear in the unit and space limitation. Located in the desirable east end of the island, less than one mile from Red Hook - the location of the ferry to St. John and numerous restaurants and nightspots.